For garage door repair, maintenance, or installation, choose Magic because we have the best trained technicians in the area. 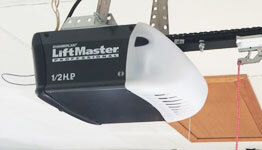 Our repairmen are factory trained and certified to work on your garage door and garage door opener/operator. Simply put, they have the skills and the knowledge to do the job well. Call us and we’ll give you straightforward service that just works! If you suddenly experience problems with your overhead garage door in Encino, then we can certainly help you. Our professional technicians will be there without delay and do a careful examination of your garage door. After giving you an estimate and as soon as you give us the go ahead we’ll service your garage door and get you on your way. When you hire Magic there are no hassles and never any problems. Our prices are exceptionally competitive, especially for the quality service we provide. We come out late at night and don’t worry about the time. Call us and we’ll get you squared away for any kind of garage door problem you might have. Our technicians get there and work out your difficulty right away. We understand in Encino many people keep frantic timetables. Magic Garage Door works with your schedule to set up your appointment when it is convenient for you. We can come when it’s suitable for you. Meet our technicians in the morning or the evening, weekdays or on the weekends. Whatever is best we will be there for you! After the repair to your garage door, we’ll examine your complete garage door system for wear and tear or damage and then replace anything that needs it. Our technician can show you essential maintenance a home owner can do to their garage doors if you wish. Some of our clients like to do this in between inspections by Magic. 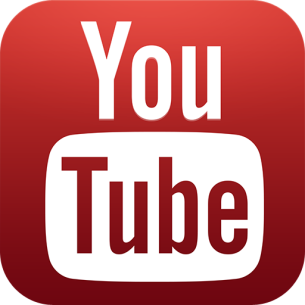 We advise inspections twice a year to keep your garage door in the best working shape. Complete maintenance service agreements are in hand for you if you want the service. We service your garage doors two times a year for a small fee. You schedule an inspection at your leisure. Overhead doors are an essential part of your home’s security. Your garage door keeps you, your property and your family from intrusions. Because of this it is important that you have your garage door repaired as fast as possible when the doors won’t close. Our garage door repair technicians are on call 24/7 for this type of emergency. We provide rapid garage door emergency repair services to residential and commercial owners. 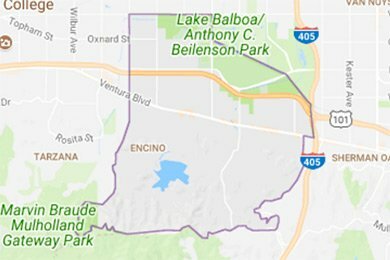 We are happy to say that we provide better Encino garage door repair services than any of our competitors. Our customers know our company because we answer within half a hour to all calls made to us.We maintain the most competitive garage door repair prices. 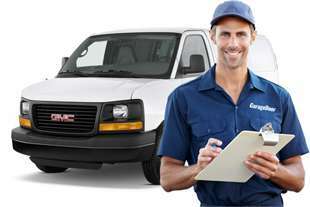 We repair all major and minor garage door repairs. 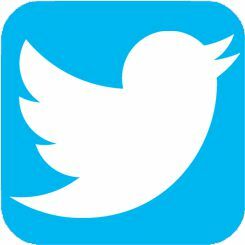 Magic goes to your home or business prepared with all the essential tools and equipment. Our factory certified technicians are insured, bonded and fully licensed. Our company knows that a garage door isn’t just part of your home’s curb appeal. It is one of the most critical points of security, a frontline of defense against possible criminal intrusions and extreme weather occurrences. When people are away the garage door is one of the first points of entry criminals try to make. 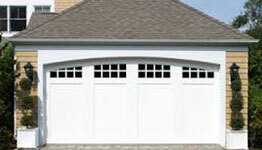 Garage doors are made up of many inner mechanisms, gears and component parts. 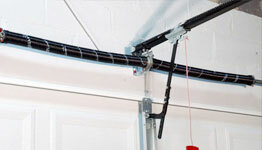 One of the most common reasons why your garage door breaks is the garage door springs wearing out. Moving parts wear out, and the best garage door springs are good for 10,000 cycles before they have to be swapped. Schedule a normal maintenance check with Magic to see whether any component parts need repair or replacing. You don’t want the garage door coming unfastened and crashing down as you park your car in the garage or worse. Garage doors also break when it comes off track. A professional garage door technician is what you need to repair the broken parts of your garage door. In some instances, the garage door opener remotes are the guilty party. Believe it or not they can go out of tune and stop working. We can retune your remote for you. Our techs do this through the small panel. It has some sensitive electronic parts that need examination every now and then. Magic has a team of trained technicians that can fix all of your garage door problems. 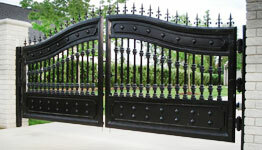 We also offer driveway gate repair services. When you get your car out of the garage and notice a funny grinding sound coming from your gate, then it’s a sign that you should call us to have it checked and adjusted or repaired if necessary. We will be there and fix your electric gate issues in record time. Call us today!